January and February are a great time of year off Miami. South Florida is unique because it is one of the few sections of coastline in the continental United States where we have a short run to the fishing grounds. Just 5 miles off Miami's coast is an area we call "the edge." During winter most of the fish are concentrated on this drop off in 100-300 feet of water. Unlike summertime where we often run 10-20 miles offshore, we have the luxury of catching bigger fish closer to shore during the winter. With this being said, half and 3/4 day trips are more than adequate this time of year. A good day of kite fishing starts with having a livewell full of frisky live baits. 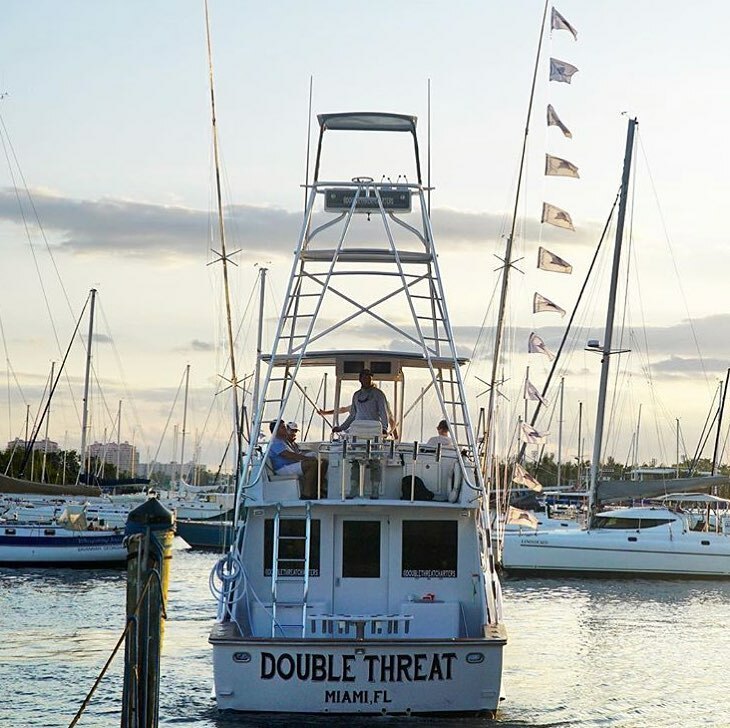 Here at Double Threat Charters, we take our bait fish very seriously! We have 8 bait pens around the boat which we try to keep stocked with the best bait time or money can buy. In our slip we have goggle eye, threadfin herring, sardines, and more. These baits are caught on our spare time so that we can be prepared for every single charter. We usually leave the dock with at least 3 dozen live baits at no charge to the customer. We sometimes pit stop to catch a few more fresh baits but we like to minimize our bait fishing time and maximize our fishing time. Kite fishing is a complex technique we employ to set a trap for predators as they cruise down the edge. Many species of fish cruise south along our coast during winter and we like to put out the kites with 6-7 live baits on the surface so we can intercept the predators as they move along the reef. The kites allow us to suspend 6 baits on the surface which keeps the baits directly in the strike zone and minimizes the amount of line in the water which makes for a much stealthier presentation. Sailfish, kingfish, mahi, tuna, cobia, and more find it hard to resist a well presented kite bait. When we get a bite, the clip pops and the angler fights the fish normally. The kites essentially work as an outrigger. 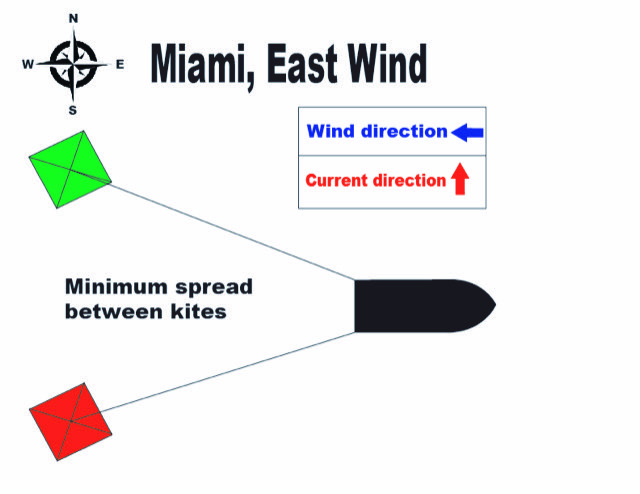 This diagram illustrates how the kite works as an outrigger. This month we have been catching quite a few sailfish. Sails are usually released by our crew after being tagged with a tag from The Billfish Foundation. These tags are numbered and reported to the Foundation so that if someone else is lucky enough to recapture the fish, the data can show how far the fish traveled, where it traveled, and for how long it was at large . 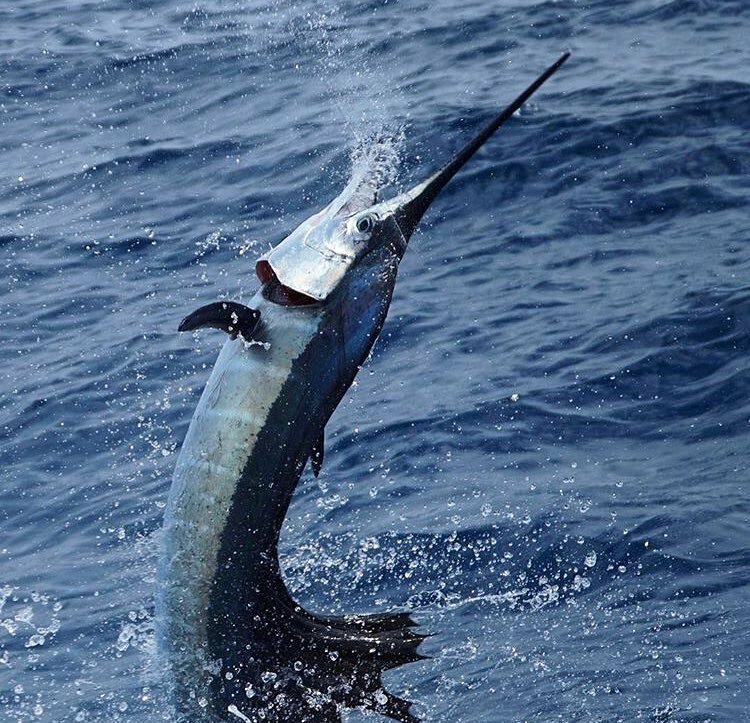 The Billfish Foundation has used tag data to protect billfish through international cooperation by showing the migrations of these fish. In addition, we have been able to determine approximate rates of growth for these species. There is an annual competition for sailfish releases that we partake in. In 2018 we actually won top release captain for Atlantic Sailfish with the help of our customers and crew. Unlike other techniques, kite fishing can be used to target a large spectrum of species. In addition to sailfish, we catch kingfish, mahi, cobia, wahoo, tuna, and more while kite fishing. With so many lines deployed on the surface, there are very few predators that can resist a well presented bait. 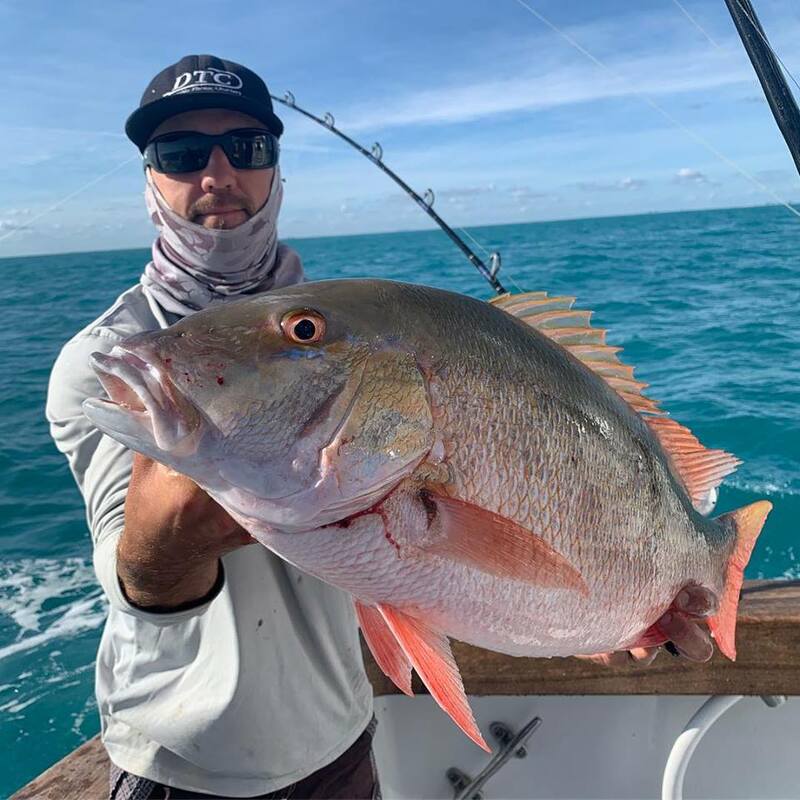 We also fish a bottom rod while kite fishing which can be productive for kingfish, snapper, and more. We look forward to a productive winter as we continue to grind it out catching sportfish and filing the box with meat.